Mumbai, September, 2012: It’s that time of the year again, when harsh winds and dropping temperatures bring havoc to your skin. The skin begins to lose its natural glow, making it seem dull and dry. 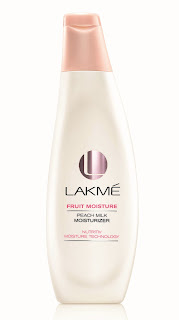 This winter, pamper your skin with the luscious Lakmé Fruit Moisture range. Not only does it fight winter dryness, but it also gives you a natural blush that’s hard to miss. The products are enriched with real fruit extracts and formulated with Nutritiv Moisture Technology. Every application of the product seeps down to skin’s deepest epidermal cells, and implants them with an instant moisture boost. Over the years Lakmé has launched many successful faces like Amrit Maghera and Lisa Haydon. This time they are back with an all new Lakmé face, Izabelle, who is making waves in the glam world. The 22-year old model exudes confidence, fearlessness and feminity at the same time, something that the brand has been long associated with. 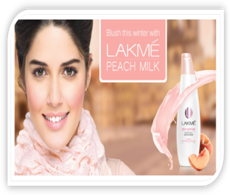 And if you don’t know her yet, Izabelle will be on air with the brand’s new campaign for its iconic product – the Lakmé Peach Milk Moisturizer. If history is anything to go by, considering the many iconic faces Lakmé has created, she might just be the next big thing! Within the range, Lakmé Peach and Plum Daily Glow Lotion and Lakme Peach Milk Moisturiser are perfect for yearlong skin moisturisation ,while Lakmé Honey & Avocado Winter Care Lotion, Lakmé Honey & Avocado Winter Perfect Day Crème and Lakmé Skin Renewal Night Crème are infused with winter care emollient making them a perfect pick for the cold weather. So go ahead, flaunt that blush and keep everyone guessing the real secret behind it. Indulge in the goodness of peach with the Lakmé Peach Milk Moisturiser. Enriched with Nutritiv Moisture Technology, this peach infused lotion goes into each derma layer of the skin to give you intensely nourished skin. Enhance your skin’s natural radiance with this 12 hour intense moisturiser. Plums are rich in vitamins and minerals that help give you healthy looking and glowing skin. Peaches are a natural source of AHAs that boost your skin’s natural resilience against dryness. A luscious blend of honey and avocados formulated with Nutritiv Moisture Technology bathes winter-weary skin with intense moisture. Honey deeply hydrates and smoothens dry and flaky skin while Avocados are packed with Vitamin A, E and D, giving you young, radiant and beautiful skin. 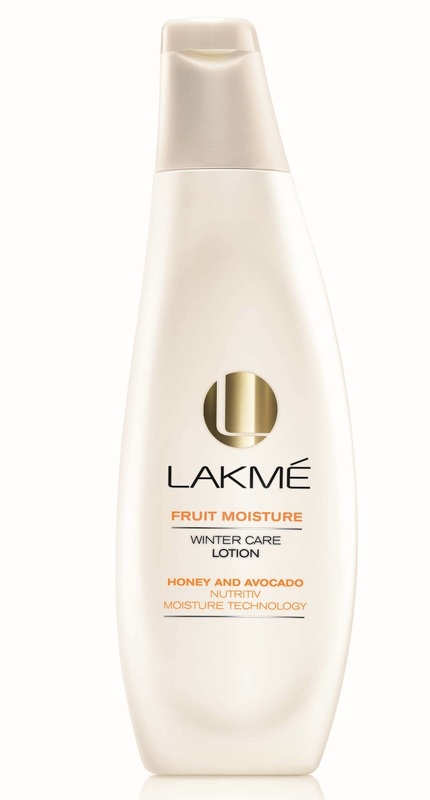 Before calling it a night, rejuvenate your skin with Lakme Skin Renewal Night Crème. It works with your skin’s natural night-time renewal process and implants your cells with intense moisture all night long. Kiwis protect skin from blemishes, while antioxidant rich strawberries leave your skin soft and moisturised. Passion fruit promotes skin toning and leaves your skin with that natural blush. I never heard about this brand but I am interested in trying it out upon reading your post. So what are your favorites? How did it work on your skin? Hope that you could tell us more. Have you tried any of these?? ?